More pre-game preparation. This time the Order of Battle for Quatre Bras. I have used an Excel spread sheet to list the two sides with ratings (using Republic to Empire), number of figures (20:1 ratio soldiers to figures), a column for tracking casualties, and some room for notes. This is version 1.0 of the OOB, there may be corrections additions after the test game. I'll save corrections to the same file so it will always be the most up to date. It will also be found on the Downloads page here on the blog with other files as I develop them. I plan on using a copy on my iPad to keep track of things during the game. 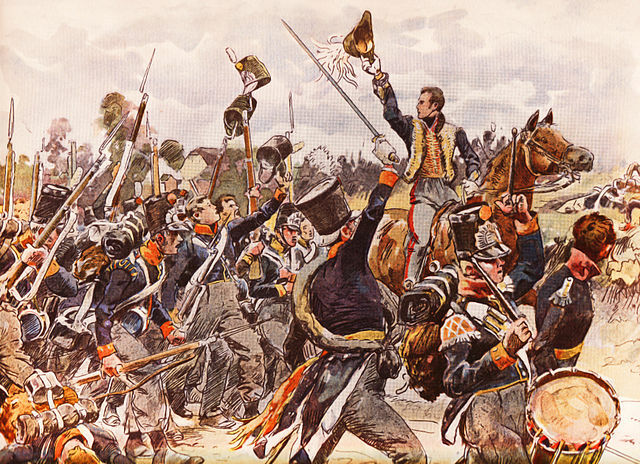 Quatre bras is one of my favoutite battle, and this is very interesting!